For more than 50 years the two countries have nurtured a friendship that is exceptional in a world of fickle loyalties. There are, of course, other strong bilateral partnerships in the world. The most famous one is the US-UK Special Relationship, but it has now degraded to a master-poodle equation. Then there is the China-Pakistan All-Weather Friendship, but again it remains a patron-client association. India and Russia started off with India being a poor country completely dependent on Russia for weapons, technology and industrial investment. New Delhi also required Moscow’s diplomatic and military support during the 1965 and 1971 wars with Pakistan. 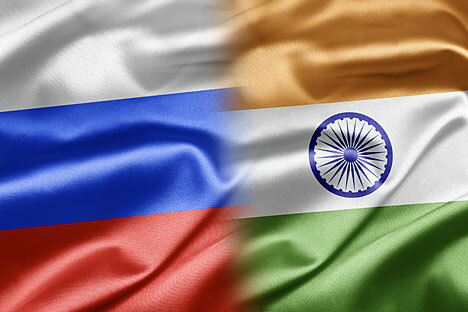 Today India has a larger economy than Russia but they continue to work together as equal partners. The relationship has evolved over the past 50 years but the underlying nature of the friendship hasn’t changed much. Indians and Russians are lively and emotional people – mainly at the personal level. Amid strangers and colleagues they are reserved and hierarchical. Family life is a very important aspect of life in both countries. Since Sanskrit is the oldest language in the world, it is likely Russian is the result of ancient Indians taking their language and culture from the banks of the Saraswati river to the Urals. The discovery of Shiva statues in Central Asia and Russia points to the spread of ancient Vedic culture far beyond the Indian heartland. Indians – being part of the Indo-European genetic pool – are among the most European of Asians. Russians are the Easternmost Europeans and Leo Tolstoy refers to his country as the “great Asiatic nation”. Basically, the Indian and Russian DNAs overlap and that’s where the similarities and affinities spring from. India and Russia have a shared strategic interest in stability in the vast Eurasian landmass. Afghanistan, Syria and Ukraine are some of the key areas where their interests converge. Not many Indians realise that Ukraine is a hub of defence industries that are vital to the servicing of Indian defence equipment, including An-32 transport aircraft. Because India and Russia do not share a border, they do not share the attendant problems such as boundary and water sharing issues. The chances of both countries coming into direct confrontation are next to zero. Chanakya, the 3rd century BCE master of statecraft, assessed that at least one neighbour of a country will be a natural enemy. According to his ‘Rajamandala’ theory of foreign policy, immediate neighbours are considered enemies, but any state on the other side of a neighbouring state is regarded as an ally. Going by this theory, if China and Pakistan are hostile to India, then they can be counteracted through Russia and Afghanistan. Russia is the No.1 producer of energy and India is the world’s third largest consumer, after the US and China. Despite the global recession, there has been no let-up in India’s energy consumption, with the country having a limitless appetite for oil, gas and nuclear fuel. As Russia is the largest producer of these fuels, its strategy should neatly dovetail with India’s quest for energy security. The reason it hasn’t so far is because of the tyranny of distance. While Europe and China – and lately Japan – have benefitted from Russian pipelines that ensure a steady and reliable source of oil and gas, India continues to be a hostage to the volatile Middle Eastern energy producers. During the 1980s, Russia was India’s strategic supplier of petroleum plus Moscow accepted payment in rupees. Today India is rich and can afford to pay in dollars, therefore, it does not buy much energy from Russia. That could change with the mother of all pipelines being planned direct from Russia across the Himalayas. Unlike an oil tanker, a pipeline cannot be rerouted so pipelines have a habit of locking countries into a long-term geopolitical embrace. The new energy linkages are going to increase the BFF factor further. Russia and India have transacted military sales for decades. While the West has slapped sanctions on India, Moscow continues to be a reliable supplier of high-end weapons and a source of cutting-edge missile technology. Russian technology and specialists have helped India leapfrog a couple of generations and produce best-in-class missiles such as BrahMos and Akash. The Prithvi is also based on Russian technology. While most countries export stripped down versions of their latest weapons, Russia has made an exception for India, with the Sukhoi Su-30MKI jet fighter, which is more advanced than its own Su-27s. The S-400 missile defence system is the latest in a long line of potent weapons that Russia has offered India. At the height of the Cold War, 85 per cent of Indian Navy, 75 per cent of Indian Air Force and over 50 per cent of Indian Army equipment was of Russian origin. While the overall percentage of Russian hardware has declined today, Moscow’s presence in the Indian defence market is still dominant. It is the only country that can meet India’s future needs – fifth generation stealth fighters (Sukhoi PAK-FA), nuclear submarines or aircraft carriers. In 1979 when Russia invaded Afghanistan, India refused to criticise Moscow. There was a lot of heartburn in the West because of this. Indians were described as hypocritical for being a champion of freedom but looking away when the bear attacked a South Asian country. But India was simply paying back Russia for its support during the 1971 War when the US, UK, France, Jordan, UAE, Turkey, Indonesia, China and several other western and Muslim countries backed Pakistan. It was a war which was forced upon India after the Pakistanis murdered 3 million of their own Bengali citizens. While the western democracies supported Islamabad, Russia vetoed US-sponsored resolutions that blamed India. Further, military intervention by Russia’s Pacific Fleet prevented a joint US-British attack on Indian cities. Unlike the West, or more specifically the US, which suffers from a “God Complex”, India and Russia do not believe they are exceptional nations that should impose their beliefs on the rest of the world. During the Soviet era, Moscow never imposed Orthodox Christianity or Russian values on any of the republics. Yes, Russification was official state policy but it did not result in the eclipse of, say, Ukrainian or Kazakh identity. Similarly, India doesn’t impose Hinduism on the world. Indians are inclusive by nature. Again, Russian businesses are not a cover for the SVR, Russia's external intelligence agency. Edward Snowden has revealed how consultants working for American corporations are in reality NSA and CIA agents. Similarly, western churches have long been doing dirty work for the CIA and its allied spy agencies in the West. It seems nothing has changed since the colonial period when the clergy and traders provided advance intelligence and supplies for invading western fleets. The cult of American Exceptionalism is based on the belief that all cultures are inferior to America’s. Indians, who are still feeling the effects of two centuries of British colonialism, are especially sensitive to such notions of foreign powers. India’s experience with European powers is that Russia is the only country that does not believe in misguided notions of exceptionalism. It is precisely why the two countries can trust each other and work together.